The Cuaba Diademas is a splendid medium bodied Giant Perfecto, 9.2” (233mm) long, of 52 ring gauge, and comes in aluminum tubes in a 5 cigars box. For the first time the Diadema is back into production. It was first produced in 2001 in very limited quantities. Each of these Cuaba Cigars is individually wrapped in aluminum wrapper and packed in a Slide Lid Box. A medium flavor cigar with Leathery / Woody notes to them. a nice smoke all around. I got the last box from Cigar Terminal and it was dated 2007! OMG, they were in a different rating class! With every puff I could discern flavours from Sir Winston, Cohiba Robusto and Ramon Allones Super Ramon combined. What a amazing experience. Without doubt, the Best Figurado I ever had!!! I had the stogie dry-boxed for three days - upon which I smoked it. Mind you it is a hefty cigar. I was fortunate to acquire a 2007 box with 7 years of age on the 5 cigars in their coffins in the box. 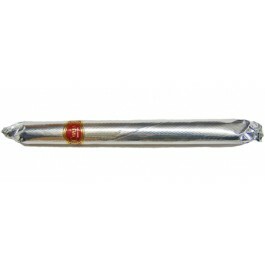 The cigar was light and ended in medium in body. The spices were not so identifiable except the last third (1 hour & 25 minutes into the cigar!!!!) where I could discern wood and tea leaves. I believe these cigars are ripe now to smoke - any more time on them and the taste will be less discernible. A good cigar but not as good as Montecristo A cabinet. For the first time, the Diadema is now back in production. It was first produced in 2001 in very limited quantities. Back in production today in the Cuaba brand. This is the biggest figurado in the whole Habanos line.